What Are Commodities and How Do You Trade Them? If you have ever asked yourself, "What is a commodity?" rest assured you are not alone. Along with stocks, bonds, real estate and other assets, commodities form one of the major asset classes. Though they are largely not appropriate for individual investors, everyone from packaged food companies to airlines rely on them to conduct business. This cheat sheet will give you an overview of the topic. Commodities are objects that come out of the Earth such as wheat, cattle, soybeans, corn, oranges, gold, uranium, copper, aluminum, coal, cotton, and oil. 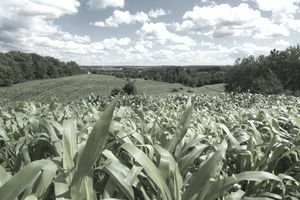 Commodities of the same grade are considered fungible —that is, interchangeable with other commodities of the same grade regardless of who produced or farmed it. For example, if a mining company in Colorado produces high-quality copper, and a different mining company in Wyoming also produces high-quality copper, the copper produced by both mining companies is fungible as long as it receives the same grade. As a buyer of high-quality copper, it doesn't matter which mining company produced it as long as the same quality of copper can be received. Who trades commodities and why? Farmers, miners, investors, speculators, consumers, and strategic users buy and sell commodities for a variety of reasons. For example, a farmer in the Midwest may want to pre-sell his corn in something known as the futures market so he can sleep well at night. He'll know he won't be bankrupted if corn prices decline between the time he lays out the planting, and when he's ready to go to deliver to market. An airline might buy fuel at a fixed rate using a futures contract in order to avoid the market volatility of crude oil and gasoline. A company like Kraft Heinz might buy huge amounts of raw coffee for future use in the manufacturing of its Maxwell House coffee brand at today's prices, allowing it the company to monitor and measure its upcoming production costs. Most, but not all, commodities trade on what is known as a commodities exchange such as the Chicago Board of Trade (CBOT) or the New York Mercantile Exchange (NYMEX). In this way, you can buy and sell commodities in a similar way as stocks. You can also buy commodities directly. For example, you might purchase Canadian gold maple leaf coins or bars of gold and store them somewhere safe as a hedge against inflation risk. There are also ways to get indirect exposure to commodities by investing in stocks, mutual funds, or exchange-traded funds that work with specific products or materials. For example, if you don't want to buy gold directly, you can buy an ETF managed by people who buy gold bullion. Or you could buy shares of a company that mines gold. Taking this approach is generally less risky and easier to understand for the average investor. What are commodity exchanges and how do they work? Imagine you wanted to buy 30,000 bushels of corn for a cornbread company you own. You're not going to go knock on doors and talk to farmers. Instead, you are going to use a commodities broker to bid for them. The NYMEX, as it is known, standardizes the commodity contract. Each contract must be made up of 5,000 bushels of corn, or 127 metric tons. The contract price is quoted in cents per bushel. Listed contracts can represent physical delivery in March, May, July, September, or December. If you are a new investor, do not go down this path. You have no business asking this question, you will most likely lose everything you risk, and you will probably end up substantially poorer as a result. Asking, "What is a commodity?" is one thing, asking "What is a commodity option" can be, for the wrong person, the economic equivalent of inquiring how to construct a nuclear weapon in your basement. Still, if you want to know what a commodity option is, the simple explanation is it is an option on a future; creating a derivative of a derivative, giving you a sort of super-leverage. You're paying for the right or obligation to buy or sell the underlying future which itself is a right or obligation to buy or sell the underlying asset.